Ford Files for Bronco Scout Trademark in U.S.
Is it really necessary to change my oil that often? What Accessories Does Your Truck Need? Buy a Vehicle, Pay It Forward: Apple Autos Kicks Off 25 Year Anniversary Event! 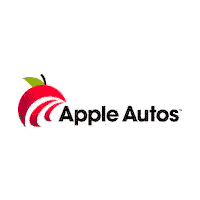 The Automotive Express Has Arrived: Introducing Apple Autos Direct! Mr. Cruze and the 30th Annual Summer Spectacular! When Shelby Met Ford: Don’t Miss the All Makes & Models Show this August! Celebrate Good Times: 25 Years of Apple Autos! Apple Ford Shakopee wins Ford President’s Award! May is Oil Change for Hope Supporting Hope Chest for Breast Cancer.